Bookaholic Friend? We Found The Perfect Gift They'll Love! Gifting a friend for their birthdays and successes is always a tricky thing, no matter how long you’ve known each other, unless they've made their choice evidently clear. 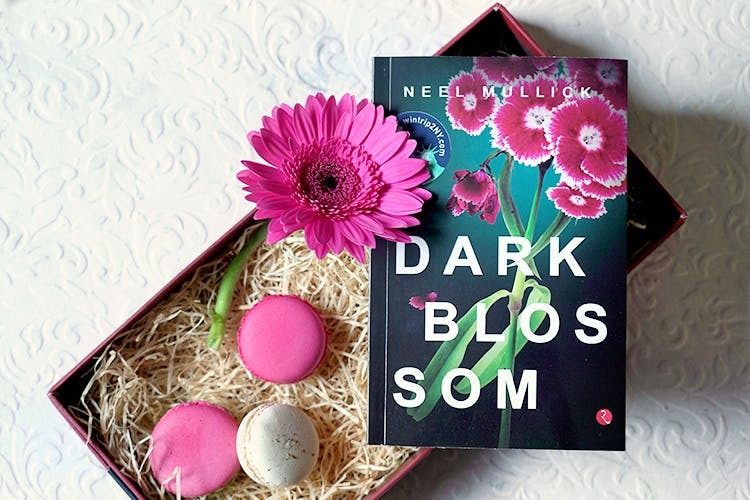 So if your bestie is a bibliophile (or even has the slightest thing for fresh reads), check out Neel Mullick’s latest novel, Dark Blossom. A book is a gift that no one can put down and especially when it’s such as gripping read as this one. It’s a story weaved with tension and intensity of human emotions, love and relationships and gives a glimpse of what lies under the visible appearance of apparently 'normal' people. Don’t believe us? Our dear, Ruskin Bond has hailed it as "Unputdownable!" and noted news commentator, Rajdeep Sardesai has called it "Haunting and visceral..."
The narrative’s pulse racing and enthralling ebb and flow of joy, sorrow, love, fear and more amongst an urban millennial group is so relatable. So whether you know the friend all too well or have just met them recently and have been invited to that birthday bash, here's your pick. The cover looks attractive too with a magenta bouquet against a midnight dark blue sky. Priced at just INR 295, gift it solo or pair it with a bunch of flowers or some wine to make your friend feel special. No need for ‘I am your gift’ excuses for forgotten presents now. Here's to a refreshing new read that anyone will love!